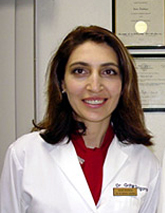 Dr. Tsolakyan’s Dental Wellness Center is a family-owned business located in Los Angeles, operated by a husband-and-wife team. Headed by Dr. Tsolakyan, the dental clinic boasts of state-of-the-art equipment and facilities, essential in providing customers with the latest advancements in oral care. After graduating from Loma Linda School of Dentistry, Dr. Tsolakyan started building years of international practice and has earned a slew of loyal customers in the United States. To keep abreast of the developments in the dental field, he attends the prestigious Esthetic Professionals Continuing Education program on a yearly basis. By spending over 100 hours of training each year in this program, he continues to gain valuable and up-to-date knowledge regarding the industry’s global developments in the field of dentistry. This is an added assurance to customers that the services they’re getting are the best ones the industry has to offer. Equipped with the latest technologies, Dr. Tsolakyan’s Dental Wellness Center offers services which include full cosmetic dentistry, dental implants, and Invisalign. Along with comprehensive dentistry offers, their team is staffed by professionally trained onsite specialists to assist their patients with orthodontics & periodontal concerns. 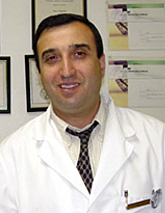 Dr. Tsoklayan and his wife Dr. Gohar Grigorian run the clinic as a team, and treat every customer as family. They share the same passion, providing customers with the most comprehensive dental services offered at prices within reach. Together, they provide unmatched oral health with a commitment that only grows with time.